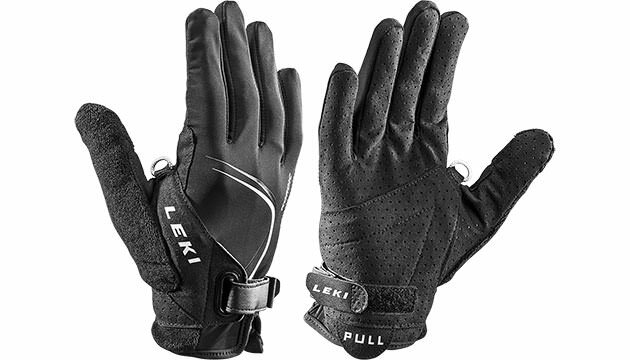 The LEKI Nordic Lite Shark Long is perfect for Cross Skating The glove is both flexible and protective at the same time. It uses the Trigger Shark system which allows you to click into LEKI poles that use the Trigger Shark system. That is a very comfortable way to connect and disconnect with your poles. The gloves are perfect for temperatures between -5°C and +20°C. Trigger Shark , see above. Material: Shell (80% Polyamide, 20% Elasthane), Palm (60% Polyamide, 40% Polyurethane).